If you prefer, print a blank registration form to mail or FAX. Register 3 or more to this seminar at the same time to receive the Group Price discount. Fee includes seminar registration, refreshments, a personalized certificate of attendance, and an extensive resource handbook. If additional individuals are registering with you, click the "Add Participant to Group" button. When all group participants have been added, continue with the remainder of the form. There are no Group Participants. To add participants to a group registration use the "Add Participant to Group" button above. Payment Information * Payment Method: Credit Card School or District P.O. 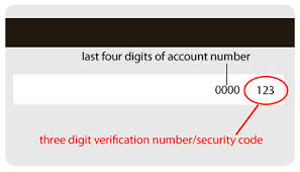 Where is my CVV Code on my card? Expiration Date: Month January (01) February (02) March (03) April (04) May (05) June (06) July (07) August (08) September (09) October (10) November (11) December (12) Year 2019 2020 2021 2022 2023 2024 2025 2026 2027 2028 *Required for credit card payments! Please Note: some districts require that we receive a purchase order issued to you for the function BEFORE you can be registered for the seminar. If this is required by your district, please print this page, fill it out and have it faxed to us together with the purchase order. click the "Submit Final Registration" button.